Although there are many skin care products to choose from if you fail to take proper care of your skin all the skin care products in the world wont give you a radiant skin complexion. When it comes to a glowing complexion what we put into our bodies and how we treat our skin and ourselves has a huge impact on how we look  no skin care product can overcome certain damage. 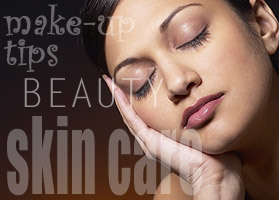 Here are a few hints to take the best skin care and get that radiant glow. 1. Eat a balanced diet  what we put in our bodies will show on our skin. If you eat fatty foods and junk your skin will reflect that, so give your skin proper nutrition. 2. Get at least 7 to 8 hours sleep every night. A lack of sleep will show up under your eyes as dark circles or bags. Proper rest will also benefit your body and your life. 3. Drink 6 to 8 glasses of water a day to keep your skin hydrated. It is best to spread the consumption of water in small amounts over the course of the day to be sure it is properly absorbed. 4. Maintain a regular exercise schedule. Exercise gets the blood moving and creates a healthy body. 5. Get lots of fresh air but avoid prolonged exposure to wind and cold. 6. Avoid the sun and tanning beds. The damage done by ultraviolet rays is long lasting and cannot be reversed. 7. Always wear sunglasses to avoid squinting. 8. Try to achieve a well-balanced life and reduce stress. 9. Exfoliate twice a week to rid your skin of dead cells. 10. Develop a skin care routine for your particular skin type. 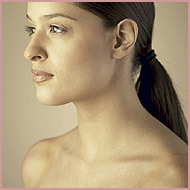 If you have been neglecting your complexion start right away to improve it  its never too late. What you do today will show up in your skin in the future. Its all up to you.